Once I had a difference of opinion with Baba – you know ego coming out! We were stationed in Bangalore – in one devotees’ place. And I took it so much to heart that I thought I must back off! And in fact, I did back off. I took a 3 hour bus journey to return to my home. But half way through the journey, as I was having a snack in a way-side hotel, I don’t know what happened! My whole heart was being wrung like a wet towel. I could not stand it! Automatically tears started flowing from my eyes unendingly. He knows absolutely everything; it was something fantastic! And you know all the rest of it – whenever a thought rises in the mind of any one of the devotees sitting there, it at once gets registered there in Sathya Sai Baba’s Solar Consciousness; so much so that He reacts immediately! Sathya SaiBaba was talking then about something else, but He immediately turned to her as if following her thought and said: “Why? Because under them there are so many other people who are working; and they will all be benefited by it!” Everybody working under the rich person can get influenced!!! So many people will be benefited if one at the helm is corrected. Naturally, His heart goes out to other people also; so they also stand to benefit. So, instead of catching every small ant, catch hold of the queen ant! That’s what Sathya Sai Baba is doing; and that’s what Swami Vivekananda used to do too. Gradually he put me in bhajans and in driving His car and looking to His various duties; getting His bath ready and His bed, and so many other opportunities! He has been immensely graceful to me – giving me all those chances to do seva, and so it went on. It was in Ooty and Baba was relaxing on a cot; only we two were there in the room. Sathya Sai Baba said: “If you are a devotee of Vishnu, you will see the parama-jyoti (Supreme light) coming from my heart; if you are a devotee of Shiva, you will see it from my forehead – where the third eye or the Jnana netra (eye of wisdom) is located.” I, of course, saw a jyoti (Divine light) in the heart area, as I have been a devotee of Lord Krishna right from the very beginning. 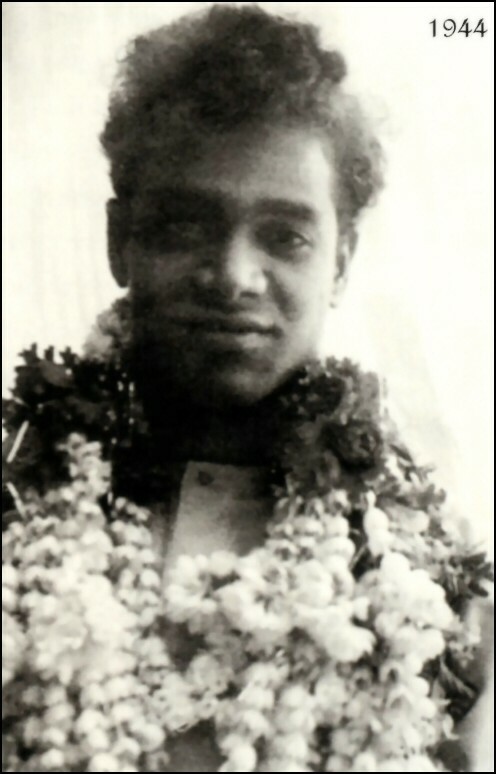 Late Kutumba Rao was an ardent devotee of Sathya Sai Baba, he came to Parthi in late 40s to see who this wonder kid is. After being impressed and convinced by Bhagawan Sri Sathya Sai Baba he stayed back and did a great service at various levels in the Trust and passed away in 1989 . Well, this happened in 1950 when Shri Kutumba Rao came to Parthi for Dharshan enroute to Tirupathi. His intentions were to stay at Parthi for 3 days and from there to go to Tirupathi for a couple of day’s stay. As he spent time at Parthi, attended a few sessions of Chitravathi, bhajans he forgot the time. He only realized the time when his money coffers became empty. With full faith he prayed to Bhagawan Sri Sathya Sai Baba for the success of his remaining part of the tour. As a response to that he heard a message in the evening that Sathya Sai Baba would be leaving for Brindavan by late evening, which means that he lost the opportunity to talk to Bhagawan in the next morning. The determined Kutumba Rao prayed and stayed. A few hours passed and Sai Baba left for Brindavan. Shri Kutumba Rao was completely at lost as he left with penniless to go home or continue his journey. When he was in that dilemma a person came in search of Shri Kutumba Rao and asked him “Are you Mr. Kutumba Rao”. After hearing in affirmative the stranger put a pocket in Kutmba Rao’s hand, to his pleasant surprise, told him, Sathya Sai Baba asked me to give you. Shri Kutumba Rao opened and found a set of currency notes in that packet. The overjoyed devotee thanked the omniscient Lord and pursued his journey. He never counted how much money was there in that pocket. As the Lord sent, it should have sufficient money to take care of his journey. As he started spending money to his delight he kept on getting money. He reached home and after spending some time with family he went inside the Pooja room to open the packet to count the money. To his Surprise, there was only a Rupee note left in that. This note is still in the Pooja room of the family members of Shri Kutumba Rao. That was the faith and that was the response of Lord. Last summer, Pete, my husband, told me of a scientific meeting in New Delhi in February. He had submitted a paper! It was accepted! Now we faced the problem of funding. We knew we would have difficulty paying two fares. Pete applied for grants from several institutions here in the U.S. No money was available. We had almost given up hope. The meetings were a month away. 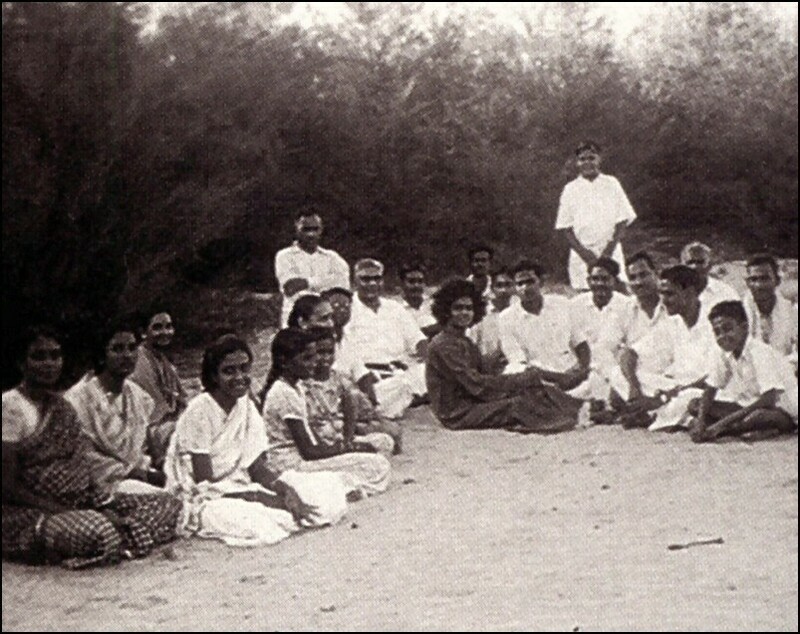 I was sitting meditating, one Sunday, when Sathya Sai Baba appeared to me. I was so overjoyed. He had not come to me for almost four years. Three days later we got a cable from India. Money was being sent for my husband’s fare! We had only three weeks to prepare! 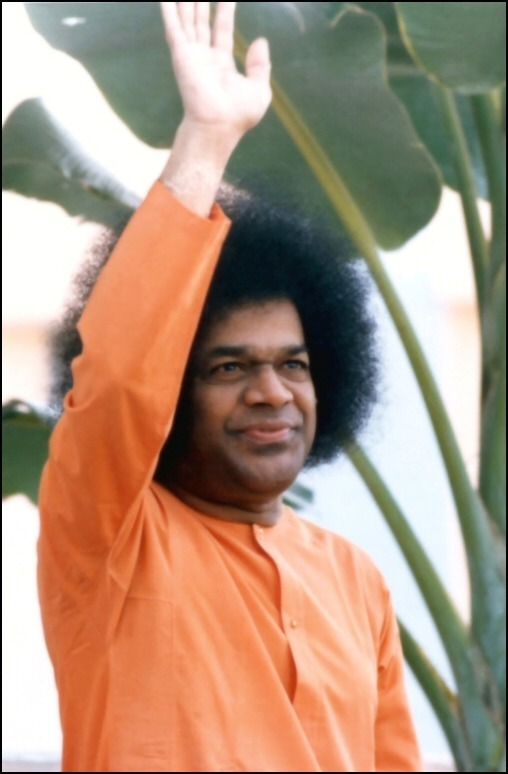 Many obstacles appeared and disappeared through Sathya Sai Baba’s Grace. At last we were off! Or so we thought. Our flight out of Los Angeles was fogged in and we missed our connecting flight from San Francisco to Hong Kong. Luckily, we got an almost empty flight (the other flight was full) to Tokyo. After a day there we were booked on a late night flight to Hong Kong. It was the beginning of Chinese New Year and many people were going to Hong Kong. We had to wait a long time in the crowded airport. My “jet lag” was becoming extreme. I felt so tired and off balance. My stomach was in a knot. I felt worried about the children who were all ill when we left. In particular, I was worried about Jesse, our nine year old boy, who because of allergies, always gets severe croup when he gets ill. He had croup the day we left. We continued on to Hong Kong and then on to New Delhi. As we were getting closer and closer to Delhi, I felt my heart soar. Mother India! I felt the tremendous blessings of the Rishis and Saints. Tears of joy ran down my cheeks. Soon I would see my Beloved. When we arrived in Bangalore we telephoned our friend, who was the mother of my husband’s former secretary in N.Y., who was a Baba devotee. Yes! They had received our letter and were expecting us. In fact, they said, we were very lucky as Swami had just arrived at Whitefield the day before. Can you imagine my extreme joy to step on the sacred earth of Brindavan? I had kissed that earth in my dreams because I know His Feet had walked on it. I look the dust on my heart and head. It was all exactly as in my dreams; the trees, the pandal, the beautiful red earth, the crowd of people. We took our places in the Darshan line. After about five minutes, some one came out of Swami’s house and mentioned for us to go in! I was so dumbfounded, my heart, I felt, would stop beating! My husband sat down in the foyer with the other men and I and my two lady companions sat opposite. We were looking toward the center door, expecting Swami to come through there. Instead, I felt a rush and turned, He had come through a side door right next to us! He was like the sun. So radiant. Words cannot describe the sweetness of this precious moment, beholding Him for the first time. Smiling, He came straight to me and in His golden voice, softly, said, “Where is your husband?” I gave Him a garland of flowers and touched His precious feet and then pointed Pete out to Sathya Sai Baba. Swami went over to Pete, and as he touched Swami’s Feet, Swami gently patted him on the shoulder several times and said “So happy. So happy. Good man. Good man.” Then He told Pete to “sit, sit,” and that He would be back in a minute. When He returned, He came to me and called Pete over to us. He then related very personal details about us, clearly showing He is with us every moment. He assured us about several personal matters. Then I showed Him a photo of our children. He said, “Yes. Yes. I know.” I told him how Jesse was sick often with allergies. Swami then said, “Don’t worry. I will take care.” Then He said, “I give Prasad” And with a gesture I was to see many times in the next two weeks, He materialized Vibhuti into my hands, my husband’s and the women we were with. “Eat! Eat!” He said, and we licked it off our fingers like small children lick cookie batter from their hands! Then Sathya Sai Baba brought out a red basket filled with Vibhuti packets and filled our hands till it was overflowing! Swami then signed a book for Pete and one for me. As He was signing my book, I knelt down and kissed the Precious Foot of my Lord. Six years had passed since the moment I knew He would stand before me. My heart’s desire had been fulfilled. Swami said several times, “So happy, So happy,” to us and “Good man! Good man!” to my husband. Then He said, “be happy,” to both of us and turned and went out to give Darshan. Pete had to see people in Bangalore the next day, who want him to work with them (Swami’s Grace again) and so he missed Darshan that day. The following day he had to return to Delhi to begin his teaching. He was planning to go to morning Darshan before he left, but found out the airlines had listed his flight time incorrectly. His flight left before morning Darshan. So, you see, Sathya Sai Baba knew Pete only had that one chance to see Him. I stayed on for two weeks and came to Whitefield every day. Just the sight of Swami coming through the gate was enough. To have Him so near, to have Him walk right by us, to see His Precious Form; to see the Beloved Feet and Hand, to hear His sublime, sweet voice brought such joy. How grateful we are to have had this most precious experience. I pray to see Swami in every being I meet and in every thing I see. How blessed we are to have Swami’s precious teaching of Divine Love before us. Filed under: Andhra Pradesh, Prashanti Nilayam, Puttaparthi, Sai Baba, Sai Baba Ashram, Sai Stories, Sathya Sai, sathya sai baba, Sathya Sai Speaks, Sri Sathya Sai | Tagged: Bangalore, Bliss, Brindavan, Faith, God, Happiness, Happy, India, Joy, Love, Meditation, Science, Swami |	Comments Off on Happy! Happy!